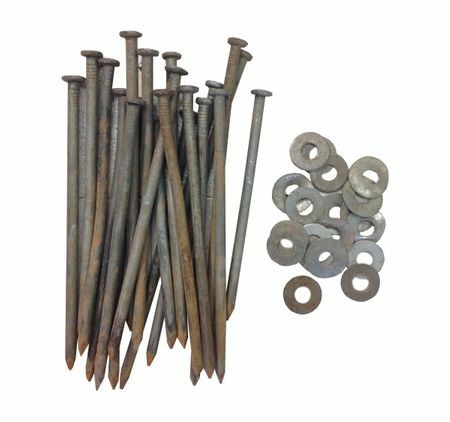 This is a 20 pack of 10" nails and washers. These stakes can be used to stake down inflatable tarps and many inflatables, such as bounce houses, backyard slides, and backyard obstacles. These stakes are used from staking down our rental equipment, but they are all in good and working condition.